Welcome (to) “Rio de Janeiro”! 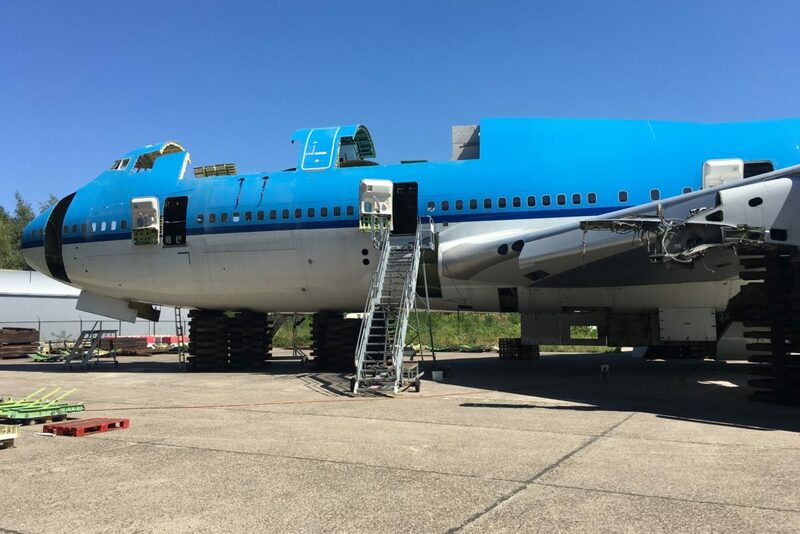 Another airline just joined the Aviationtag fleet and we will give you some interesting background information about the former KLM Boeing 747 today. This airplane is actually a Boeing 747-400 M, so a passenger/cargo or “Combi” variant to be precise. This specific aircraft type first flew on June 30, 1989 and entered service with KLM on September 12, 1989. It has a large cargo door fitted to the rear of the fuselage for freight loading to the aft main deck cargo hold. A locked partition separates the cargo area from the forward passenger cabin, and the -400M also features additional fire protection, a strengthened main deck floor, a roller-conveyor system, and passenger-to-cargo conversion equipment. 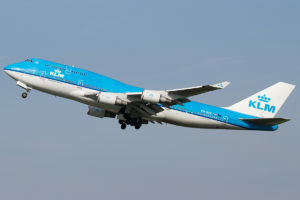 The last 747-400M was delivered to KLM on April 10, 2002. 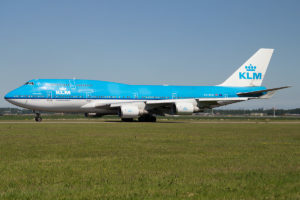 But back to our PH-BFR: Boeing built this airframe with the line number 1014 and the manufacturer serial number (MSN) 27202 in 1993 and it was delivered to KLM in January 1994 where it had its inaugural flight on January 6th. It had a configuration of C35 W36 and Y197 and was powered by four powerful GE CF6-80C2B1F engines. KLM got the registration PH-BFR for it and called it “Rio de Janeiro”. Did she ever make it to Rio de Janeiro though? Probably since the list of destinations it flew to is long: Los Angeles, Mexico, New York, Tokyo, Bangkok, Beijing or Hong Kong just to name a few. In Hong Kong Chep Lap Kong she might have actually met her sister from Cathay Pacific – our popular B-HUI at that time as well. On June 4th 2017 the PH-BFR had an accident en route from Amsterdam (Netherlands) to Hong Kong (China). At an elevation of apx. 9.000 meters and about half an hour before landing in Hong Kong the aircraft encountered severe turbulence for a couple of seconds. Since the seat belts signs were not illuminated some passengers were thrown against the ceiling and then back on the floor. The crew advised air traffic control of injuries on board and requested emergency services and medical staff to meet the aircraft upon arrival. The “Rio de Janeiro” continued for a safe landing in Hong Kong about 30-40 minutes later. A total of 9 people were medically assessed at the airport, 8 of them were taken to a hospital. Passengers later reported the turbulence lasted 3-4 seconds, everything not secured properly was thrown against the ceiling and then against the floor. A little later in 2017, on the 28th of October, KLM withdrew the PH-BFR from use after 23 years. On December the 6th this queen of the skies made its last flight with the flight number KL747. After a flight time of only 29 minutes it landed in Enschede at 13:06. After it landed in Enschede she faced another “incident”: After slowing safely on runway 23 and stopping at the end of the runway, three roe deer walked across the runway eyeing the aircraft. The crew spotted the animals and greeted them warmly, too. 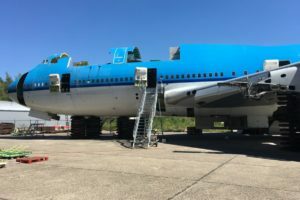 In August 2018 the PH-BFR dismantling process was completed and the Boeing 747-400M was scrapped. We will share some more insights about the finals days of the “Rio de Janeiro” in a separate blog post, so stay tuned. 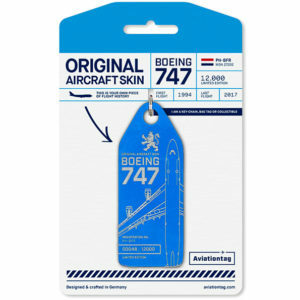 And while you are waiting: Did you actually get your Aviationtag already? Posted in Aviationtag, Background, Boeing and tagged 747, aircraft, aviationtags, klm, planespotter. Great post and interesting read! It is amazing how tough aircraft are in turbulence – especially towards the severe end of bumpiness! Thank goodness the pax and crew didn’t suffer any lasting damage to themselves. I am fine with light chop, but anything above that (inc moderate) gets me a little concerned – not so much with the wings flexing as that is what they are designed to do, but the big heavy engines bouncing around on those slender looking pylons attached by just 2 or 3 bolts! I know it is very rare for engines to physically separate from the wing, but non the less it goes through my mind! The fact that aircraft sometimes encounters severe turbulence really blows my mind with how strong the engine and pylon attachments are – but still I would hate to be in anything not even close to as rough as that (no matter how short the time)! Yes PH-BFR was a tough old bird, and my piece of her will carry on that legacy of strength and longevity. And who can blame those deer for wanting a close look – afterall a 747 in KLM blue is is one beautiful combi! My story about the Rio de Janeiro goes back to 1999 when i start working by KLM catering services. I bring the food and drinks in the planes. So my story goes way back in time.. I was also lucky to buy a piece of this Queen. I have number 00626 from the 12000. I hoped i have piece 00747.. Thanks for sharing your story,Michel!